Dr. Hook: 1. Drake: 0. Recently, the former Degrassi: The Next Generation actor turned rapper Drake decided to vent on Twitter. 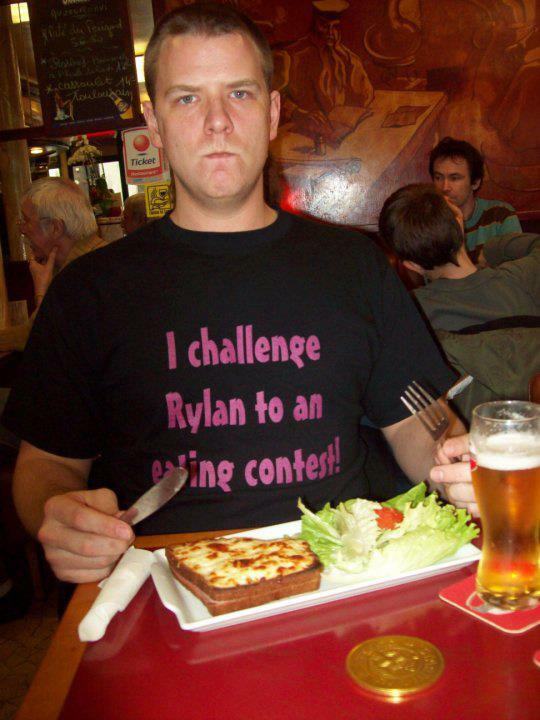 And with over 14 MILLION FOLLOWERS, whatever he has a problem with is going to get noticed. Now, did he take to social media to point out the dangers of climate change, poverty, or war? Did he bring up something all his YOLO followers could relate to? Was it an issue that could unite all humanity?! Well, no. He was mad he didn’t get on the cover of Rolling Stone. EVEN THOUGH he was supposed to. But then an actor died and he was relegated to just being the feature interview in a magazine read by millions of people, some of whom don’t even follow him on Twitter yet. For most, such a slight is unimaginable, but then again most folks didn’t have a friend whose dad happened to be an agent and could get them on a television show at age 15. Being upset that the media, which created his success, could limit his rise to the top in any way must be a real blow to the ego. It’s like missing an easy slam dunk! Or…is that why he was angry? Could it actually be for the following two reasons? 1. When Joey Ramone passed away, Rolling Stone kept Destiny’s Child on the cover. 2. 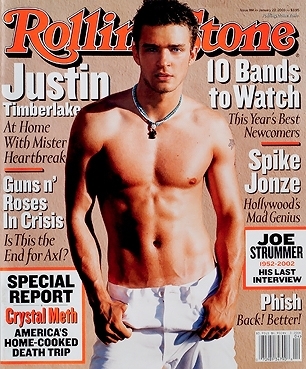 When Joe Strummer passed away, Rolling Stone kept Justin Timberlake on the cover. Obviously Drake was aware of this. And when you look at it that way, it’s gotta hurt! I admit it. I’m not the most patriotic Canadian. I don’t think we’re all that polite. I don’t think we can handle cold weather better than anyone else. Heck, I don’t even think we’re all that good at hockey. But the one thing I was always proud of, what made us stand out when you compared and contrasted the maple leaf with other equally ridiculous national symbols…was that when it came to taking out politicians, we preferred pie to guns. Can you imagine John Wilkes Booth deciding to use banana cream, pumpkin, or American apple pie on Abraham Lincoln? Or a JFK Pie Conspiracy? No, you can’t, because that was in the United States, not Canada. Here, Thomas D’Arcy McGee notwithstanding, Canadians use pie. Eh? That changed the other night in Montreal. Montreal, by the way, is my favorite city. I like it even more than Red Deer. A few summers ago, I was in Quebec to learn French. I was lucky enough to get into a program which allowed me to study there for 5 weeks – which I spent in a town called Trois-Rivières. The city is mostly Francophone. In a manner of speaking, I didn’t exactly fit in. During my first few days there, I was eating in a restaurant, and was asked by an obviously concerned waitress if I knew where I was, and if I needed help getting out of town. She relaxed when I told her I was there to learn French, and didn’t stumble into the city by accident. My confidence restored, I thought about the diversity of Montreal, where Francophones and Anglophones lived side by side, and differences in language didn’t stop the city from being even better than Red Deer. Later, I visited the Metropolis Theatre, for a Dumas concert – a band I had never heard of before going to Quebec. French-speaking and amazing, I marveled at how Dumas had such a strong following – packing the Metropolis – but on the other side of the country not many people had heard of ’em at all. My time in Montreal made me feel something unusual: patriotic. Here was this myriad of cultures, and I felt a connection to it, and more importantly, I wanted to participate in it. That’s my version of patriotism – being excited about positive community involvement. So when I saw the news reports saying a man had opened fire at the Metropolis, where Quebec’s new premier was giving her victory speech, my heart sunk. This is something new to modern Canada – differences heightening tensions, rather than enlivening experiences. It isn’t something we’re used to. Luckily though, there’s another thing about Canadians I like; our typical lack of extremism. Pies are still the normal weapon of radical political protest, not guns. Most people try to understand each other’s differences, and that makes our communities stronger, not weaker. So if you want to be patriotic, don’t tell folks from other countries we’re more polite, better hockey players or snow shovellers. Tell them you come from a country that believes in understanding differences and building off them. Inclusion is the name of the game, not being trapped by your own cultural nuances or language. And when somebody tries to disrupt that positive relationship with violence, you throw a pie in their face and say no. The Joke’s on You, Democracy! When I first heard this on The Evaporators’ album I Gotta Rash, I thought the Prime Minister of Canada was just kidding around. Of course he was, but the joke was on dissent and protest in Canada.